I never thought this day would come that I would write about Arashi alongside a… Korean group. But here I am. 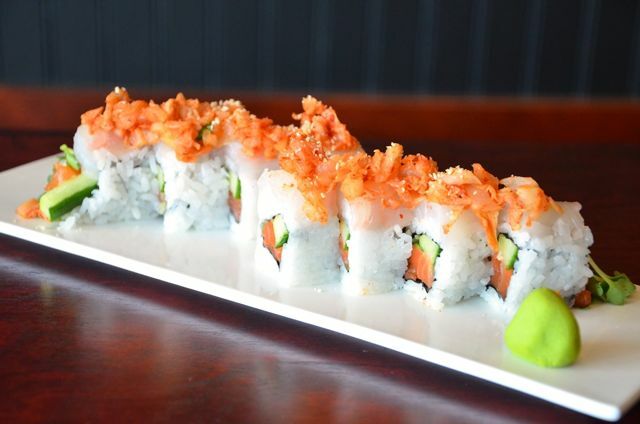 It’s possible after all to like sushi and kimchi at the same time, in almost the same level. After all, kimchi does come as side dish or garnish even in Japanese restaurants. I say “almost the same level” because they can never be compared. I’ve been an Arashi fan since 2005 so that’s eight years and counting. I’m just a new fan of CNBlue even if @greyhavens has been “pimping” to me their music for about three years now. I wish I could have been a fan sooner than later because they have held concerts where I live, but I have no regrets. Some things just take time and can’t be forced. But while kimchi is served as a side dish in restaurants, I don’t treat CNBlue like that though. I look at it more like a balance. To me, Arashi’s pop music is perfectly balanced by CNBlue’s rock music. Though many feel CNBlue’s recent music sound more like K-pop than their original sound, I won’t go into that since I am just new in this fandom. All I can say is, yes, I like their music very much especially the early albums and particularly those geared for the Japanese market. I have watched their “392” concert in Yokohama countless of times and think that their energy is different when they’re performing in Japan than when they’re in their home turf. Of course I have liked other music before. Usually those that I hear from movie or drama soundtracks. But it was mostly seasonal or attached to the OST. I never went beyond that. And that’s where Arashi and CNBlue are the same. They both started with a drama, a song and then voila. While I have watched Arashi perform (in South Korea, the irony of it) at the Asia Song Festival, I have yet to watch them in their concert. That remains to be a dream unless I am ready to sell my arm, a leg and maybe my kidney too, and slug it out with fellow desperate fans. On the other hand, I have more chances of watching a CNBlue concert. I only wish they won’t be drafted into the military yet. Please no, not now when I have just discovered their awesome music. So no, I am not leaving the Arashi fandom for CNBlue. They are very different from each other and they provide me a perfect balance between pop and rock. It’s possible after all to have my sushi and eat my kimchi too. Oh my good i can’t believe i’ve just found you.. We were on the same boat,,eventhough me being Arashi’s fan only for these past 5-6 years (not as long as you,,of course) and got my eyes on CNBlue last year.. Yes,,i agree that they can’t replace each other and one of them gave a perfect balance for my music taste..
Normally,,i prefer japanese music better than korean.. But CNBlue is one of the only two Korean musician that got my attention (with Tohoshinki being the other one).. Maybe because both of them had a japanese release,,and that’s the one that made me love them in a first place..
I’ve been on CNBlue concert once and never had a chance to go to Arashi’s.. Well,,i knew that they’d had a concert last year on a same week at Nagoya and i was planning to go there but unlike you for some reason i had to cancel it..
you gotta watch Arashi live even just once. I know it’s difficult to get tickets but there are ways and fans who will be very willing to help out. Yeah I prefer CNBLUE’s Japanese releases more, but not to say their Korean ones are not on par. I guess just preference?